Rasmunssen encephalitis is a rare disease characterized by focal cortical inflammation with progressive extension and diffusion. 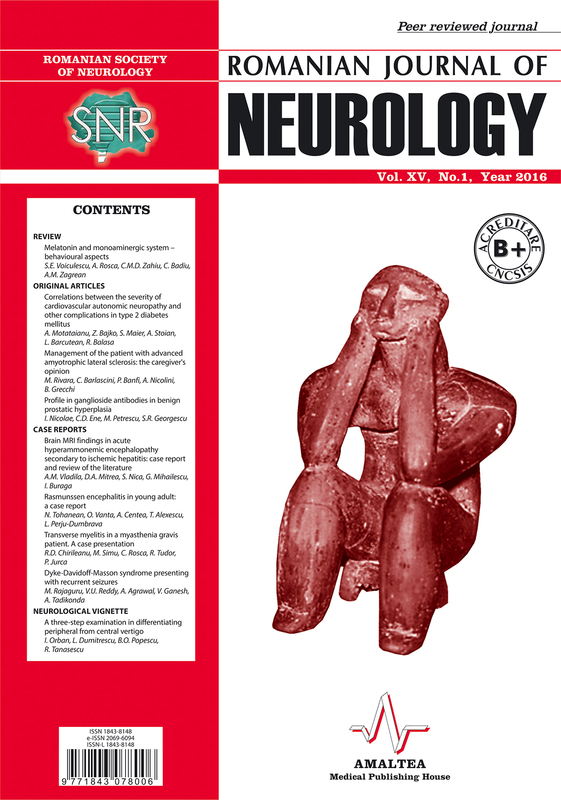 Clinical features are continuous partial epilepsy non responsive to usual anti-epileptic therapy and unilateral motor deficit, corresponding with the IRM imaging to cerebral hemiatrophy. The disease mainly affects children but there are some acknowledged cases described in adolescent and adult life. This report aims to present a clinical case of a young female with seven years personal history of generalized epilepsy. 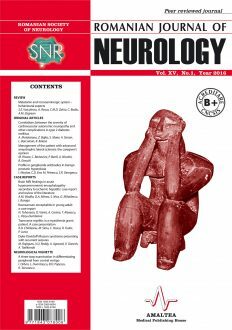 Having a clinical and paraclinical evolution a suspicion of chronic focal Rasmunssen encephalitis took shape. During admission she suffered of weakness and involuntary movements in her left side, which gradually worsened in the last month and memory impairment also. Routine laboratory blood evaluation, inflammatory and infectious tests were within the normal range. Magnetic resonance imaging of the brain reveals T2 atrophy of the right cerebral hemisphere with a low displacement of median structures to the left and an abnormal hyper intensity signal on T2-weighted, along with FLAIR images. Electroencephalography showed a profoundly altered, slowed, asymmetrically with paroxysmal unilateral right slow activity record with high amplitude. 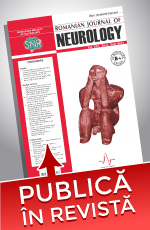 Based on clinical criteria, MRI imaging and EEG we supported the diagnosis of Rassmunsen encephalitis.